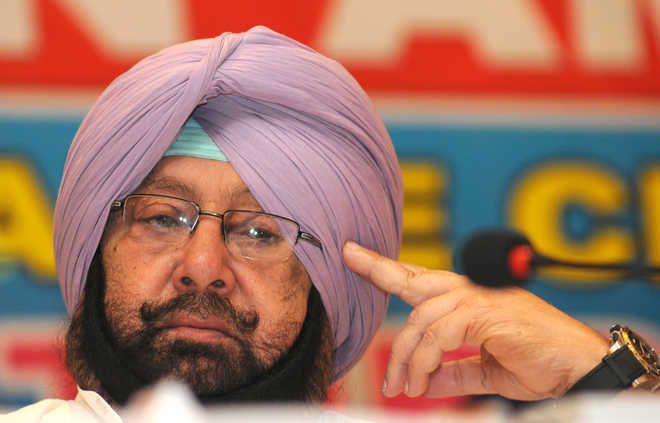 Chief Minister Capt Amarinder Singh on Monday accused Prime Minister Narendra Modi of discrimination against the Congress government in Punjab in matters of religious importance, as part of his and his party’s “divisive agenda”. Neither Parkash Singh Badal and Sukhbir Badal nor Harsimrat Kaur Badal, who happened to be a minister in the Modi cabinet, deemed it fit to pay homage to the martyrs, the CM said. Yet Modi, who himself chose to keep away from this occasion of national importance, had criticised him even though he had been part of a series of events at the Jallianwala Bagh national memorial over the past two days, the Chief Minister said, slamming the PM for his “selective and politically motivated attack”. “Why was Modi not present at this major event? Why did the Badals fail to turn up, and why did the Prime Minister choose to conveniently ignore their absence?” the CM wondered. Interpreting Modi’s actions and words as part of his government’s “persistent discrimination” against the Congress government in Punjab, Amarinder said that by holding a parallel event to mark the Jallianwala Bagh centenary, instead of supporting the state government’s commemorative programmes, the PM had exposed his true intent. Amarinder said there was a clear pattern in Modi’s attack on him on the issue, which the central government had been brazenly and shamelessly trying to politicise to woo the Punjabi community and further his political ambitions. The community, however, was not likely to be taken in by such petty acts of omission and commission, he added, urging the PM to come out with a constructive agenda to garner votes in the state.